London, England – July 22, 2011 – Europe’s largest and most prominent Mixed Martial Arts (MMA) promotion, The British Association of Mixed Martial Arts (BAMMA), announced today that they have signed one of the top-ranked fighters in the world, former UFC contender Nate Marquardt. The organization will reveal Marquardt’s next opponent and more details on his highly anticipated BAMMA debut in the coming weeks. Liam Fisher at BAMMA stated, “As soon as we received word that the Pennsylvania State Athletic Commission lifted Marquardt’s suspension we jumped at the chance to sign him. He is a top ranked contender and an asset to any promotion. Words cannot express how excited we are that Marquardt is now fighting under the BAMMA banner.” The three-time Middleweight King of Pancrase Champion and former Ultimate Fighting Championship middleweight contender boasts knock out of the night and fight of the night honors and has faced some of the toughest competition in the world. Marquardt holds notable wins over names like Yves Edwards, Jeremy Horn, Demian Maia, Martin Kampmann, Rousimar Palhares and many others. Marquardt had this to say about signing with Europe’s leading MMA promotion, “Offers came in from several fight promotions, but we felt that BAMMA was definitely the best fit. They put on high-quality shows, stack their cards with top-level fighters, and sign those fighters to multi-fight deals. They are also the only fight organization in the UK that implements PED testing. To be honest, that is one of the main reasons that we chose BAMMA. I want to prove to my fans and to the world that I'm the real deal and that I belong on top.” Marquardt recently made the decision to drop down to the 170lb division and was expected to make his welterweight debut in June at UFC on Versus 4 against Rick Story, but was unexpectedly pulled from the card the day of weigh-ins due medical clearance issues. Shortly after, he was released by the UFC. It was later revealed that medically prescribed hormone replacement therapy caused the elevated testosterone levels that lead to his release. Marquardt’s suspension has since been lifted and he has found a new home with the British Association of Mixed Martial Arts (BAMMA.) 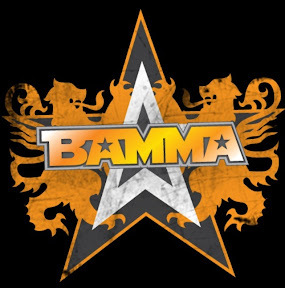 According to Marquardt's manager Lex McMahon, "Nate & I are very excited to establish a strategic relationship with BAMMA, as they are the premiere brand of MMA in Europe and a significant global player in the industry. BAMMA has stepped up and will be putting on top notch fights with elite fighters. Nate is honored to represent BAMMA and looks forward to a long term & mutually beneficial relationship. As Nate mentioned, one of the key factors in our decision to work with BAMMA is their aggressive steps to bring regulation to the forefront of European MMA. Additionally, Nate is a highly marketable athlete and we feel that he will quickly become one of the most sought after corporate spokesmen in Europe." Marquardt went on to say, “Now that my suspension has been lifted and I’ve found a home with a new fight promotion, I can move forward and turn my focus back to my fight career. This has been an extremely difficult time and I’m very thankful to those who stood by me. I’m looking forward to getting back to fighting and there are some guys out there that I would definitely like to get my hands on. I'm talking about the fighters that kicked me while I was down. BAMMA is known for signing top talent ...so I may just get my chance." Compelling bout cards, arena sized venues, and high quality televised fight events. These are just a few of the qualities set the British Association of Mixed Martial Arts (BAMMA) apart from other fight promotions in the UK. These same qualities are what continue to draw top prospects to the fast-rising organization. Nate Marquardt is just one of many top-level fighters that BAMMA has signed. Other fighters include Frank Trigg, Efrain Escudero, Joey Villasenor and many more to be announced over the coming weeks. Nate Marquardt will be doing an exclusive interview with MMA Live tonight on ESPN 2. Tune in at 11 p.m. ET/8 p.m. PT! MMA Live also airs in the UK on ESPN at 10p.m. GMT. For more information on BAMMA please visit www.Bamma.com. Fans can also follow BAMMA on Facebook at www.facebook.com/bammauk and Twitter at www.twitter.com/bammauk. About BAMMA: BAMMA (The British Association of Mixed Martial Arts) is Europe's biggest and most premier MMA organization, launched in June 2009 with the aim of delivering Mixed Martial Arts events that fully capture the entertainment and sporting prowess on display in the world’s fastest growing sport. To achieve this aim, BAMMA brought together a team of highly skilled individuals with a wealth of combined experience across television production event organization, brand marketing and Mixed Martial Arts and set out to push the boundaries of MMA. BAMMA’s combination of arena sized venues, stunning fight cards and exceptional production values has led to BAMMA’s unrivalled position as Europe's leading MMA promotion. With a highly experienced team and a presenting crew that includes Michael Schiavello, each BAMMA event always delivers a highly anticipated and unique experience. For more information, please visit www.Bamma.com.